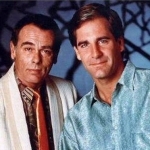 Quantum Leap is a Science Fiction Series programme that first aired in 1989. 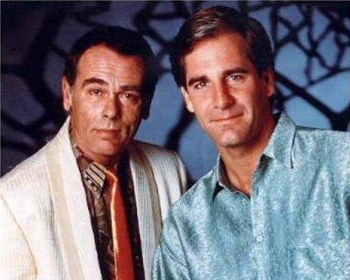 Theorising that one could time travel within his own lifetime, Dr. Sam Beckett (Scott Bakula) leads an elite group of scientists into the desert to develop a top secret project known as Quantum Leap. Pressured to prove his theories or lose funding, Dr. Beckett prematurely stepped into the Project Accelerator - and vanished! He awoke to find himself in the past suffering from partial amnesia and facing mirror images that were not his own, driven by an unknown force to change history for the better. Fortunately, contact with his own time was maintained through brainwave transmissions with Al (Dean Stockwell), the project Observer who appears in the form of a hologram that only Sam can see and hear. Michael Bellisario ... Billy the bat boy, Kid, Little Boy, Martin Jr.